Are you Looking for Fencing Contractor in the Reading area? GB Fencing supply and install fencing in Reading and the surrounding areas. We do anything from small repairs to large scale fencing projects, and decking and gates. All materials are sourced and manufactured locally and are of the best quality available and represent excellent value for money. 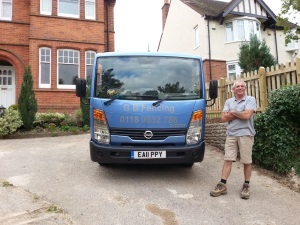 GB Fencing operates as a one man contractor, therefore Graham can provide a personal fencing and decking service. Call GB Fencing now on 01189 332 786, mobile 07825 068 019 or email me using the Email Enquiry Form. Our fencing styles include panels, close board, post and rail, palisade, hardwood, softwood, acoustic, security, chain link, weldmesh, steel railings and steel palisade.